Paul D. Clarke, CAQ, PA-C is a Board Certified Physician Assistant, with 37 years of experience. He is NCCPA Board Certified with a Certificate of Advanced Qualifications in Psychiatry. Paul is a member of the NY State Society of Physician Assistants as well as the national association, the American Academy of Physician Assistants. He is a Board Certified Diplomate of the American Academy of Experts in Traumatic Stress and Board Certified in Pain Management. He is a member of Dr. Stephen Stahl’s Neuroscience Educational Institute. Paul is a graduate of Saint Michael’s College, Winooski, Vermont with a BA in Biology. He received a BS degree in Health Science and his Physician Assistant training from Hahnemann University-Drexel, Philadelphia. He has worked in Occupational Medicine, General and Vascular Surgery, Emergency Medicine, Dermatology, Allergy and Immunology, Family Practice and Interventional Pain Management. He has spent the past 13 years in Psychiatry. 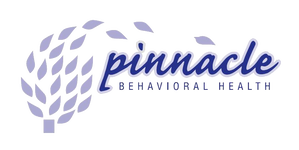 Paul now works with Sean Chappin, MD at Pinnacle Behavioral Health. His areas of expertise within General Adult Psychiatry include Pain Management as it relates to Psychiatry, OCD, Anxiety and Depression, all with a focus on Psychopharmacology. His background in Family Practice enables him to concentrate on the whole person, rather than just on the pathology.